Their menu is hand picked and includes specialty foods that are guaranteed to satisfy all diets. Pitas Mediterranean Restaurant does things the way you need. They gladly transport a full menu or serve it on site. They have prepared food and served at places such as Williams Brice Stadium! They have catered to engineer firms, USC, clinics, hospitals and much more. 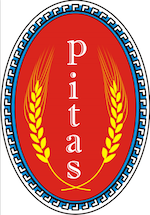 Let Pitas put on your next event!